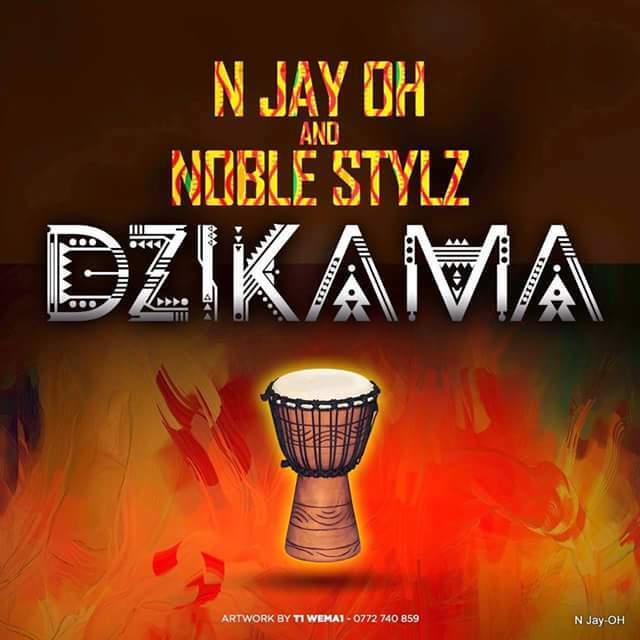 With winter over and summer beckoning,Noble Stylz and N jay-Oh dropped a surprise collab that mixes hip hop,afro pop and a bit of guitar action titled Dzikama.Produced by Fun F with help on the beat from Tha Pro and Qwuilz McSways as well as Congolese artist Rashid on guitar Dzikama has enough bounce and groove to keep any dancefloor alive and signature witty Noble lines to keep day one fans of his pen smiling. Additional vocals courtesy of T-Kash, Fun_F, Fuji_X, Lloyd Soul and Runniq were sprinkled all over the joint to spice up the feel good summer groove. In keeping with the groovy feel of the song he does raise his glass to hustlers and hood queens keeping it real the world over. N jay-Oh comes through repping the booze gang.From celebrating deals that have been sealed with shots of amarula & tequila to looking for Noble,Kash,Fun & Rue so they can go ham on the shots N jay-Oh has one thing in mind and that's to get faded.The verse is lit though a bit short and the same can be said for the Runniq bridge as well which left us wanting to hear more of this vocally endowed songstress.Fun_F forever the multitasking guru lends his voice to the chorus besides also mixing and mastering the joint and making sure the diverse talents on this joint are fused to perfection.You can view the lyric video to this joint on the Clive Njobo YouTube channel.